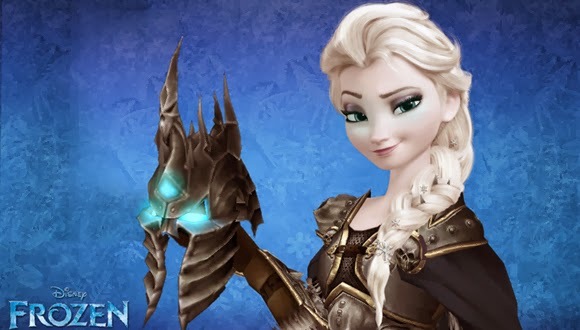 My first thought when I was watching that movie and she built her ice fortress during "Let It Go" was that it looked similar to Icecrown Citadel. "You should probably stay out here. The last time I introduced a guy to my sister she raised an army of the undead." Apparently, in some comic/manga, there's a story in which Jaina picks up Frostmourne instead of Arthas and she becomes the Lich Queen.